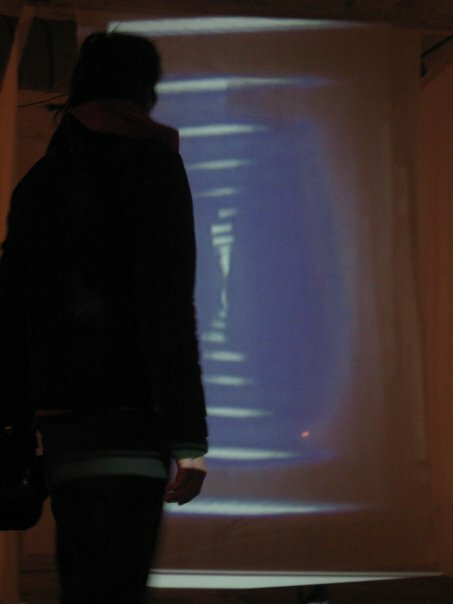 Chase is a close-circuit video installation made in 2008. The man on the foto is Francisco Perez. With him and a great bunch of latin-american artist, we used to have a space in the former LA 54. Like every story, this was also a love story. And it ended before I could do some more work in those beautiful spaces there. The installation captured the people live and projected them, creating an endless „screen-in-the-screen“ effect. Here is the video I made back then. Now I am not quite happy with it, so a new version will come soon.